Arthroscopy is a very common procedure that allows surgeons to examine and repair the shoulder joints for many orthopaedic problems. This is a minimally invasive procedure involving small incisions of approximately ¼ inch, called portals. 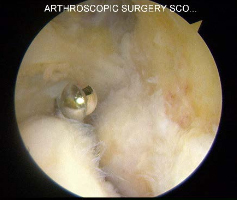 The arthroscope is a small, pencil sized instrument with a miniature video camera. 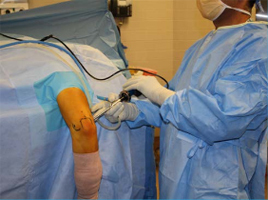 The arthroscope is introduced into the joint through the portals. 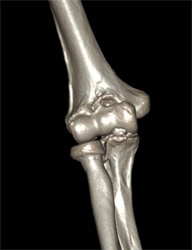 A video monitor will show the inside of the joint and the surgeon’s progress as the joint is examined and repaired. Repairs are made using very small surgical tools such as miniature scissors, shavers, knives, and other motorized and other motorized and non-motorized instruments. 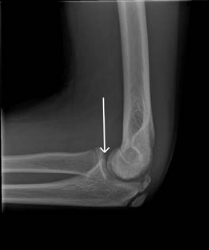 Usually between 2 and 4 portals are used to perform arthroscopic surgery. 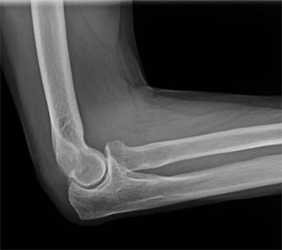 Arthroscopic elbow surgery is less painful and has lower rates of complications such as infections compared to open surgery. Removal of scar tissue to improve range of motion: white portion-thickened scar capsule. Capsule has been removed in this area (healthy muscle underneath and removed tight capsule). 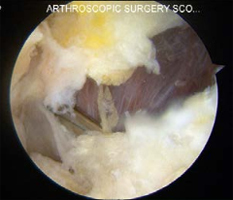 Specialized arthroscopic shaver removing scar tissue from inside the joint. Post-operation: Most arthroscopic procedures allow you to be discharged the same day. 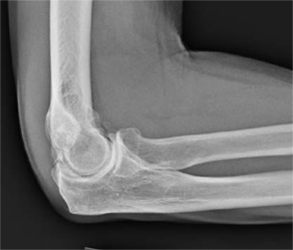 Immediate range of motion with early recovery and function. The minimally invasive approach minimizes pain and discomfort, allowing for rapid recovery and return to sports and activity.